A summit of the Eurasian Economic Union (EEU) planned in Yerevan on April 8 has been moved to Moscow, Russia, at the request of Armenia’s Central Asian ally that has strong ties with Azerbaijan. The decision announced on April 6 followed a call from Kazakhstan, a key Russia ally in the trade and military bloc, which conditioned its reluctance to take part in the meeting by the latest flare-up of tensions in Nagorno-Karabakh. After nearly four days of intense fighting that killed scores on both sides, Armenia and Azerbaijan agreed a ceasefire in the Nagorno-Karabakh conflict zone on April 5. None of Armenia’s allies from the EEU or the Collective Security Treaty Organization (CSTO), a Russian-led defense pact of six former Soviet nations, including Kazakhstan, has clearly condemned Azerbaijan over its aggression against Nagorno-Karabakh, which broke free from Baku’s control in the early 1990s and has enjoyed de-facto independence since then. Moreover, Belarus, which is also Armenia’s ally in both organizations, in fact defended Azerbaijan’s territorial integrity in a statement disseminated by its Foreign Ministry at the peak of clashes in Nagorno-Karabakh last weekend. The Belarus ambassador to Yerevan was summoned by the Armenian Foreign Ministry over the imbalanced rhetoric. 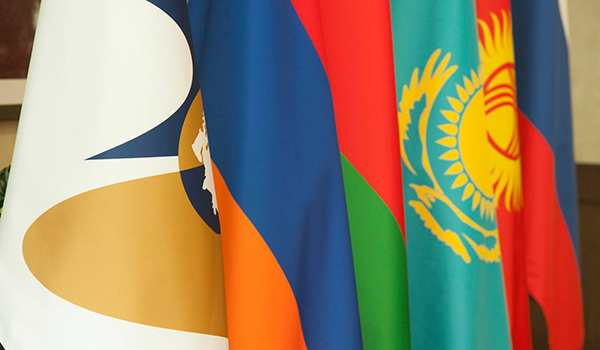 Now, it turns out that Kazakhstan, another CSTO member, which has strong linguistic and cultural ties with Azerbaijan, fears its attendance of a summit in Yerevan may create the impression that Astana supports Armenia in the Nagorno-Karabakh conflict. Kazakh Prime Minister Karim Masimov had said he would not attend the summit in Yerevan and named Moscow as an alternative venue. Russia, which was reportedly instrumental in mediating the latest ceasefire in Nagorno-Karabakh but has remained largely neutral in its statements throughout the clashes, has agreed to host the EEU summit in its capital.